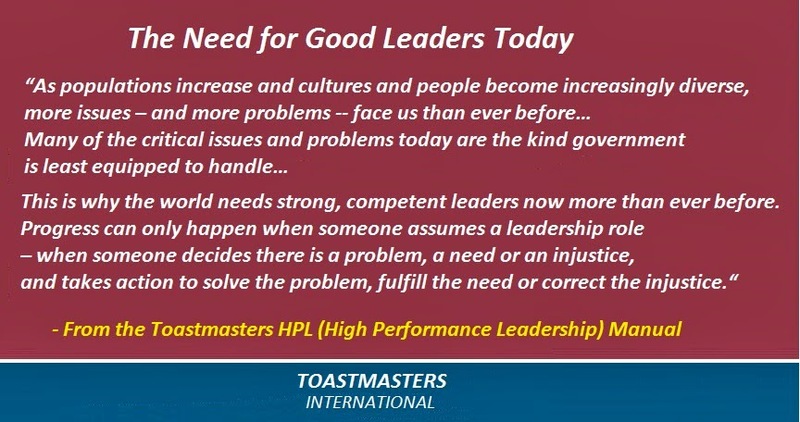 I did the introductory speech for my High Performance Leadership project at the Word Weavers Meeting on 26 March. I've written up an article including the text that my speech was based on that you can read about here. I'll be talking to everyone in the club about the role you'd be interested in taking within the project team that I'm putting together. I'll be setting up a project meeting where we can determine what will be done by whom. Stay tuned.